The low center of gravity provides increased stability and balance. 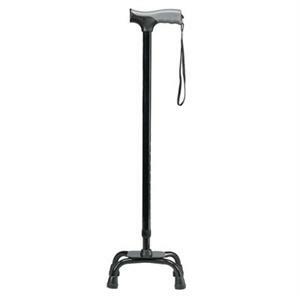 The small base can be used on the stairs and is adaptable for right- or left-handed users. Soft grip derby handle decreases shock and reduces fatigue on the hand and upper body. 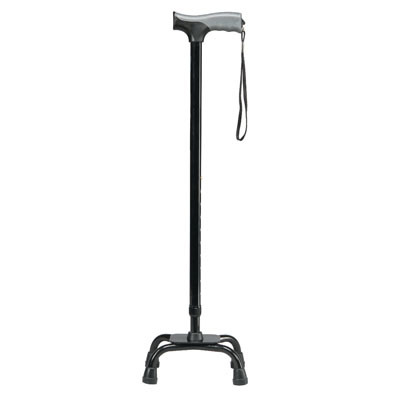 Height adjusts 28" to 37" and has a weight capacity of 250 lbs. Tip size 5/8".